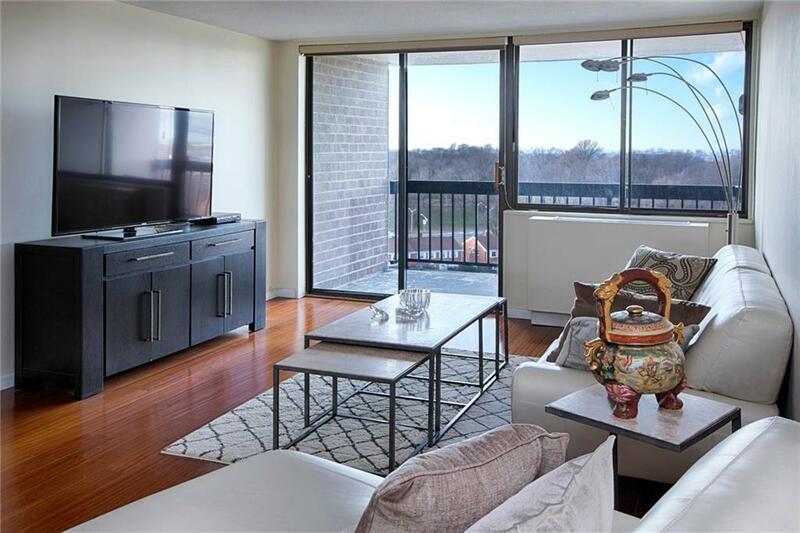 Step into your new home and you will be mesmerized by the dramatic unobstructed views from every room, especially your unique terrace overlooking the Manhattan skyline with breathtaking water views of the Throgs Neck & Whitestone Bridge and Middleneck Bay. 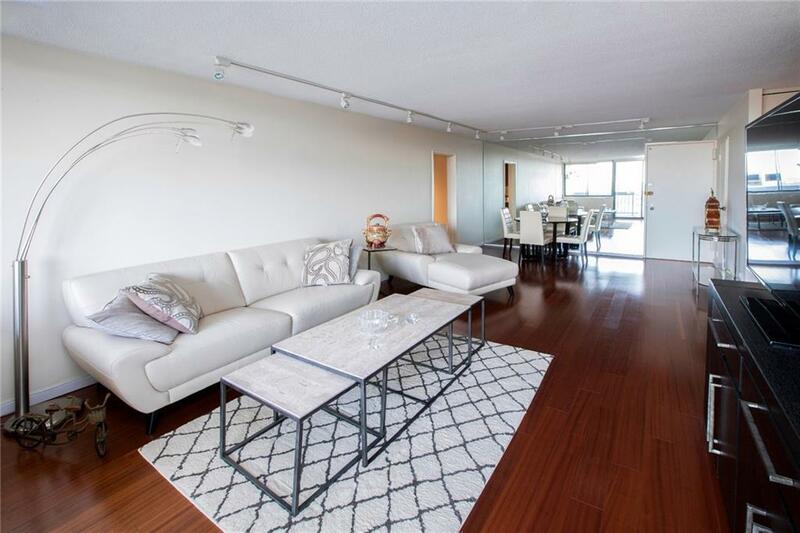 This Expansive 1 bedroom, 1 bathroom condo recently underwent a high end renovation. From the minute you walk through the door, you will fall in love with the natural light cascading through the windows. 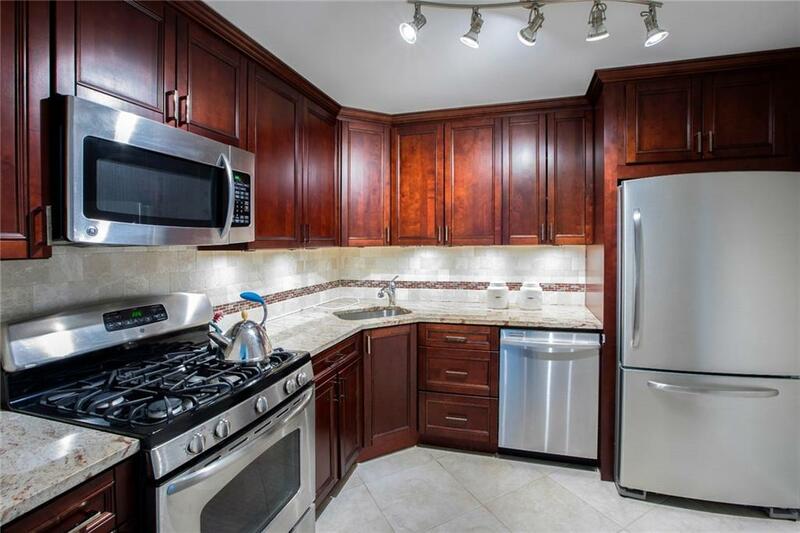 Bring lots of place settings and all of your cooking gadgets because this chef's kitchen is equipped with GE Stainless Steel appliances including a dishwasher, beautiful granite countertops, colored glass backsplash and porcelain tile floors. There are laminate wood floors in the living/dining room and wall to wall carpet in the bedroom. 12W has more closet space than you will know what to do with including two Enormous walk in closets one in the front entryway and one in the master bedroom. You will love the large glass shower in the bathroom with new sink, Vanity and tile floors.From the second you walk in the front door, you will feel at home. Imagine coming home from a long day at work, step outside on your terrace to watch the magical sunset with a refreshing glass of wine in hand. The building has washer/dryers on every floor, and they are even in your own hallway.The Bay Club is a one of a kind Gated Community. It has everything you need: 24 Hour Security, Doorman & Concierge, Award Winning Year Round Swim & Fitness Center (extra fee) . Indoor Parking (Extra Fee). Free Tennis Club, Indoor & Outdoor Basketball Courts, Paddle ball Court, New Children's Outdoor Playground, On Premises Restaurant, Dry Cleaners, convenience/grocery store and even it's very own Beauty Parlor! 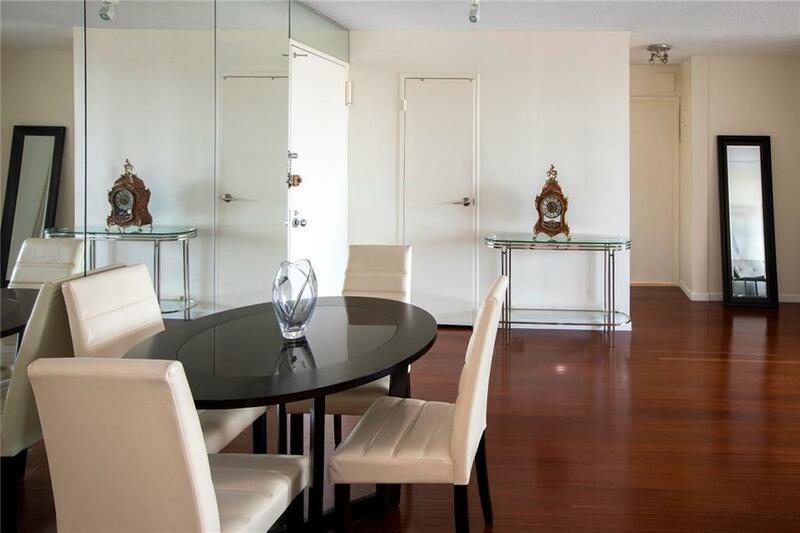 IT is in the Best Location just steps from the Bay Terrace Shopping Center and Express Buses to Manhattan.